Apple has announced their Q1 financial results this afternoon. These results actually cover the last 13 weeks of last year, ending December 29, 2012. And they include some very impressive iPad numbers of course. 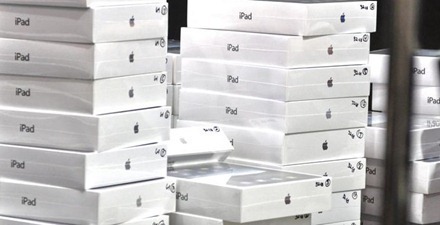 — 22.9 million iPads sold last quarter. There was also a mention of the widespread adoption and rollout of the iPad in blue-chip financial organizations and in a diverse range of government organizations both in the US and abroad.